Lindsey Theis explored a new activity that combines drinking and axe throwing. Axe throwing is a thing. And a new recreation facility in downtown Omaha is opening soon for others to give the sport a try. Matt and Kelli Wyant of Omaha are the owners of Flying Timber. They're currently finishing inside construction at 15th and Farnam. 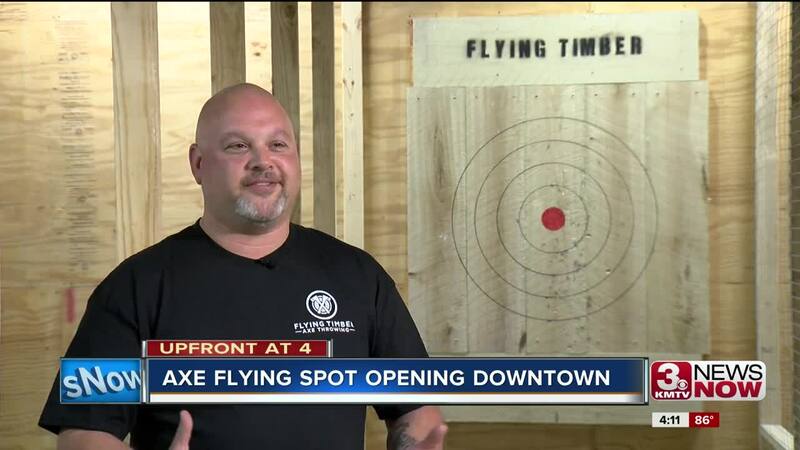 Once it's open, around Memorial Day weekend they hope, Wyant says 8 lanes of axe throwing targets will be available. Patrons will be able rent lanes for $15-$35 depending on time during the week.